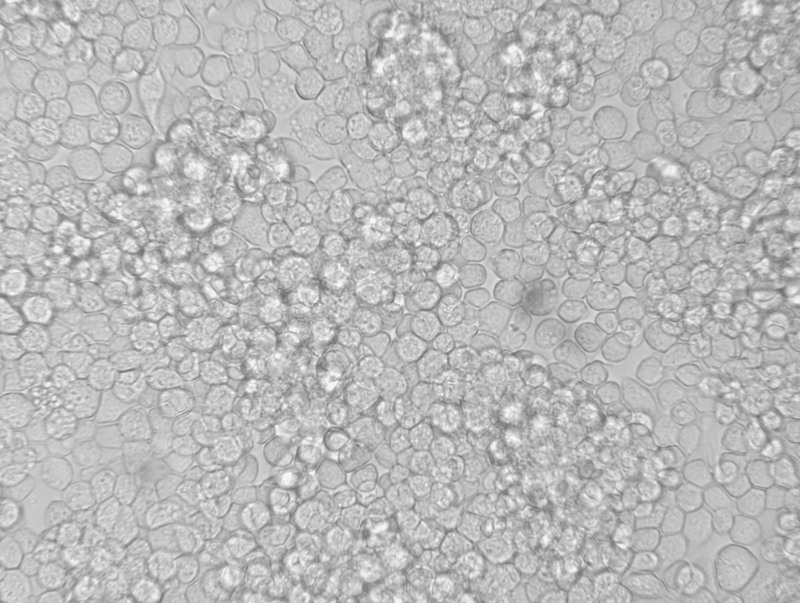 Transferring Sf9 cells from monolayers to suspension cultures can sometimes be difficult. These insect cells, commonly employed for baculovirus-mediated expression, are usually kept growing in suspension culture. However, sometimes monolayer cultures are used to keep them going during periods of low demand. These cultures are also useful as a reserve or back up for the main suspension cultures, which even in the best laboratories can sometimes become contaminated with unwanted microbial visitors! Unfortunately, Sf9 cells are in the habit of sticking like limpets to plastic surfaces. They are very difficult to remove. Furthermore, if you scrape them off the plastic they suffer a very severe drop in mortality. Using trypsin/versene is also a bad idea since this also seems to affect viability. So what can you do to remove them? This question was posed by one of our customers recently, who had started to culture a new batch of Sf9 cells as a monolayer. The best course of action is to allow the Sf9 cells to become very dense, to the point that they start to overgrow each other on the plastic. Although they look very thick they are still viable. Then you can tap the plastic culture vessel very sharply on a lab bench and this usually serves to dislodge most of the cells. When we say “tap sharply” we actually mean to the point just before the culture vessel cracks! The action can seem a bit violent to your colleagues but in terms of stress release it is up there with popping the air pockets in bubble wrap! We have heard of people throwing flasks against the wall to achieve cell detachment, but on health and safety grounds we don’t recommend this course of action! When we say the cells should be dense, we mean they need to be something like the ones in the image below (Fig. 1). If you follow the above advice most, but not all, of your Sf9 cells should detach from the monolayer culture vessel and be ready for further propagation in suspension cultures. You can add fresh medium to the cells remaining attached to the plastic flask you have just harvested and continue their growth as a reserve culture of Sf9 cells. We include more details about the culture of insect cells in our baculoCOMPLETE user guide. If you have specific questions about any aspect of insect cells or the baculovirus expression systems send us a message via info@oetltd.com.